At Williams & Williams Law Firm, we know this isn't right, and we believe in fighting for innocent victims like you and your loved ones. We know that holding abusive and negligent nursing homes accountable for their failures is the only way the situation will change. Our nursing home abuse lawyers can help you pursue justice and compensation for the injuries your loved one has suffered. Every case is unique, and we know there's no one-size-fits-all approach to nursing home abuse cases. Still, some elements occur time and time again in these cases, and knowing about these common issues can prove very helpful. In many cases of neglect or abuse, the root cause of a resident's suffering is an attempt to save money by cutting corners. Many people don't know that most nursing homes are part of massive corporate empires and have to meet cost mandates set by profit-minded executives hundreds of miles away. In many of the cases we see, staffers aren't evil – they don't want to hurt their residents. They just lack the necessary experience, training and experience to properly care for elderly individuals. Of course, there are certainly plenty of cases where malicious staffers deliberately hurt or exploit residents. What does nursing home abuse and neglect look like? Again, every case is different, but a lot of cases fall under some broad categories that, sadly, seem to show up a lot in the Atlanta area. 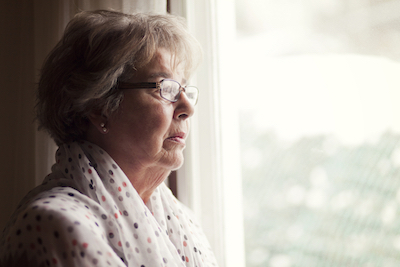 These are always devastating cases, and nothing can reverse the damage your loved one has suffered. But our nursing home abuse lawyers can help in this difficult time by listening to your story, evaluating your case, advising you on the right course of action and, if necessary, skillfully pursuing legal action on your behalf. If you need a nursing home abuse lawyer you can trust in the Atlanta, Georgia area, please call Williams & Williams Law Firm today at 770-988-6898 for a free consultation.